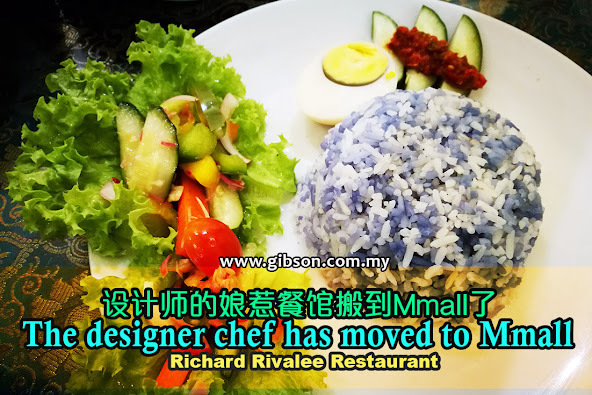 The famous designer chef Richard Rivalee has moved to Mmall since May 2017, while continuing their signature set lunch and dinner menu, they are also offering a la carte authentic Nyonya menu all day long. At the new place, Richard Rivalee turn 3 shop lots into a double storey restaurant, which includes a function room and a private dining area upstairs. The new place is a lot bigger than the old one, and has been properly divided into small dining areas to provide dining privacy to their customers. Let’s eat now!!! Please take noted that our food portion is meant for 10 persons, and it is not the standard portion. More high-tea menu are expected after their grand opening that is coming soon, in the meantime, you can still order their signature desserts.